An amputation can sometimes be considered medical negligence. If a patient loses a limb due to a medical error, patients may have an eligible claim against the doctor who performed the amputation. When performing an amputation, certain medical considerations must be made. The doctor must properly conduct an evaluation before surgery can be executed. Once numerical values are assigned, the numbers are added to reach a total score. If an amputated limb has been lacking blood for six hours or more, the total score is doubled. In most cases, multiple surgeons weigh in on the final decision. They may even consider a patient’s wishes and lifestyle. When an amputation results in the loss of ability to perform everyday activities, surgeons are more likely to attempt a replantation. Before reaching a final decision, physicians must consider these complications. If a limb can be successfully reattached, surgery may be worth the risk. However, surgery is too risky for certain patients. For example, replantation can cause some patients to develop dangerous blood clots. The initial treatment that a patient receives is critical to salvaging a severed limb. In order for a doctor to reattach a body part, first aid must be performed on the traumatic injury. Not only is this important for the physician, but it also helps the patient regain feeling and function after replantation surgery. Since muscle tissue dies quickly, severed limbs must be preserved. When this is done properly, a limb can be reattached up to 24 hours after the injury first occurred. If an amputated body part has not been preserved, the limb only has six hours to be reattached. 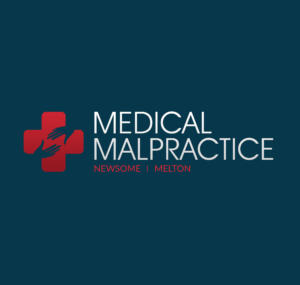 In some cases, medical negligence occurs well before a doctor arrives at a patient’s bedside. Therefore, other hospital staff members may hold some legal responsibility.